Strange little creature found in Russia along river bank - All Things Alien - Chickensomething What Are You Afraid Of? 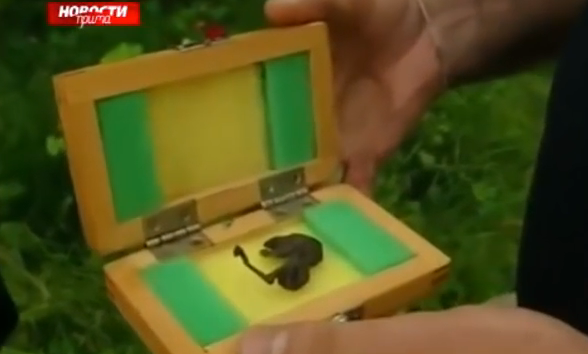 This tiny alien body was found near a river in Russia and has no resemblance to any animal known. Russian scientists are confused over what it could be and said they need to wait for the results of the tests, which are probably DNA I assume. I will update this as soon as I hear about it.